In pursuit of my constant mission to try new flavors and recipes for the same cuts of meat, I concocted a new injection for the same old pork roast. As fall is upon us, I was looking for some hearty, German inspired flavors. 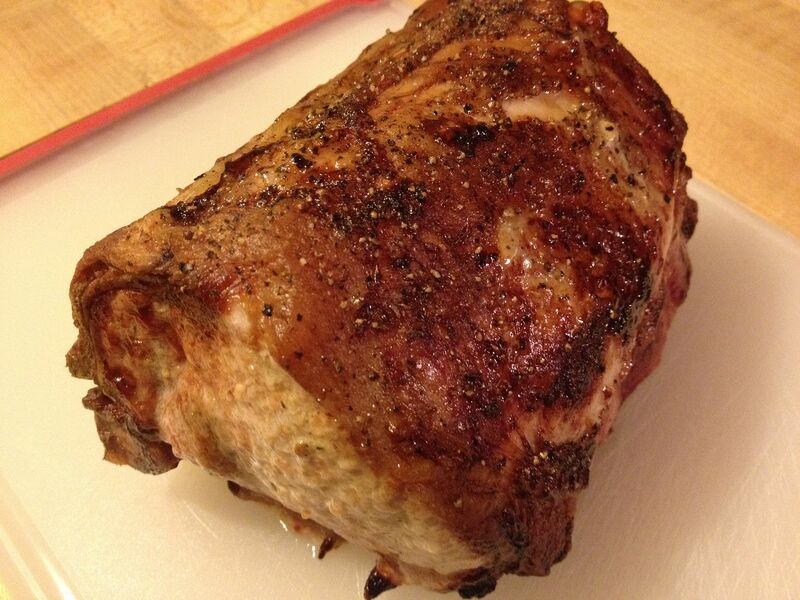 The result was a pork roast injected with a mix of beer, mustard, and butter. Here is the recipe and method. 1, 12 oz bottle of Oktoberfest style beer. I used Penn Brewery Oktoberfest. 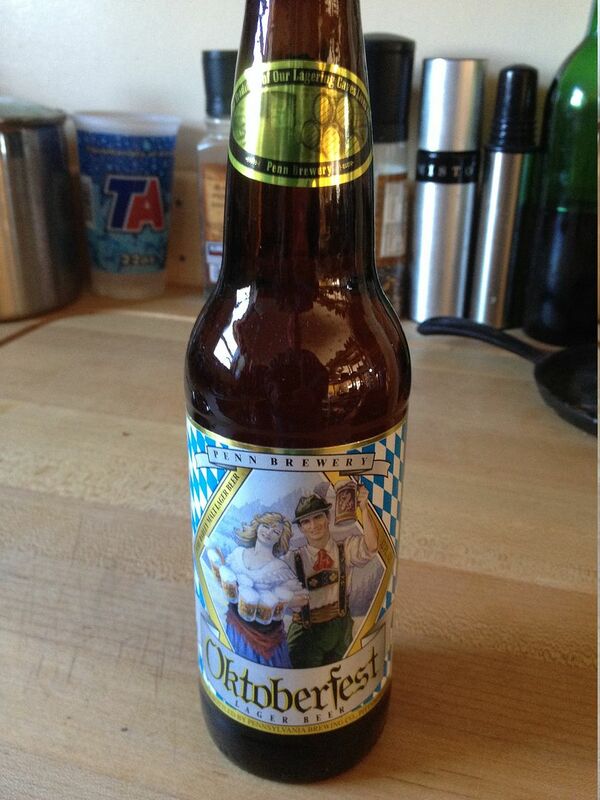 This Oktoberfest beer is not as sweet as some offerings on the market. It is a nice full bodied lager style beer with lots of roasted malt flavor. If you don't have a bottle of Oktoberfest style beer around, any darker, full bodied beer will do. I placed the above ingredients into a small sauce pan, brought to a boil, reduced the heat, and simmered until I reduced the volume by 1/3. Once reduced, I placed in a bowl and chilled until cooled to room temperature. 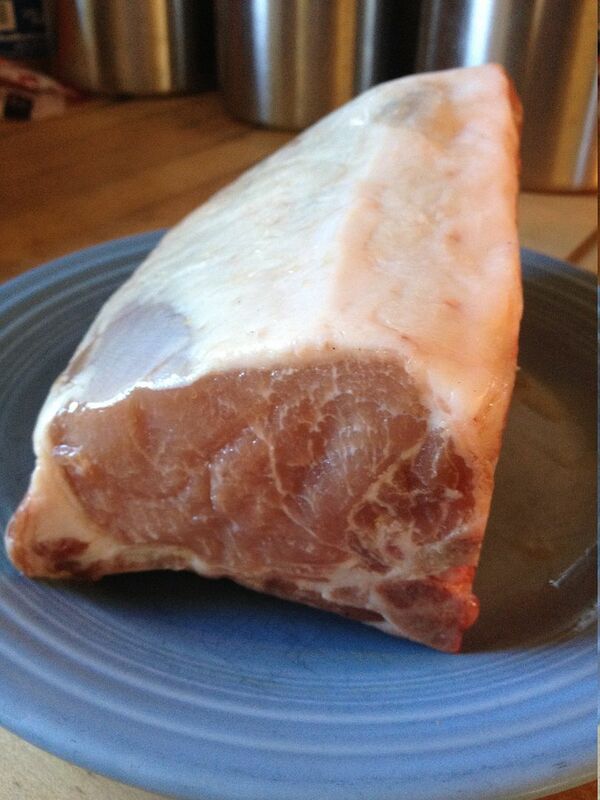 Once the injection was cooled, I injected my bone-in pork roast all though out the meat. At first I injected close to the bone so that I was sure the injection would stay in the meat. Then, I started moving away from the bone, injecting down through the fat cap. Once injected, I placed the roast in the refrigerator for four hours to marinate. After four hours of marinading I coated the outside of the roast with olive oil, then seasoned with fresh ground sea salt and cracked pepper. I allowed the roast to sit on the counter for one hour to come to room temperature. At the same time, I lit my smoker and brought the smoker temperature to 375 F. Once the smoker was at temperature, I added two pecan splits to the ash pan for some smoke flavor. Other types of wood would work, but I used the pecan for the mild nutty flavor that would accompany the malty flavor of the beer. 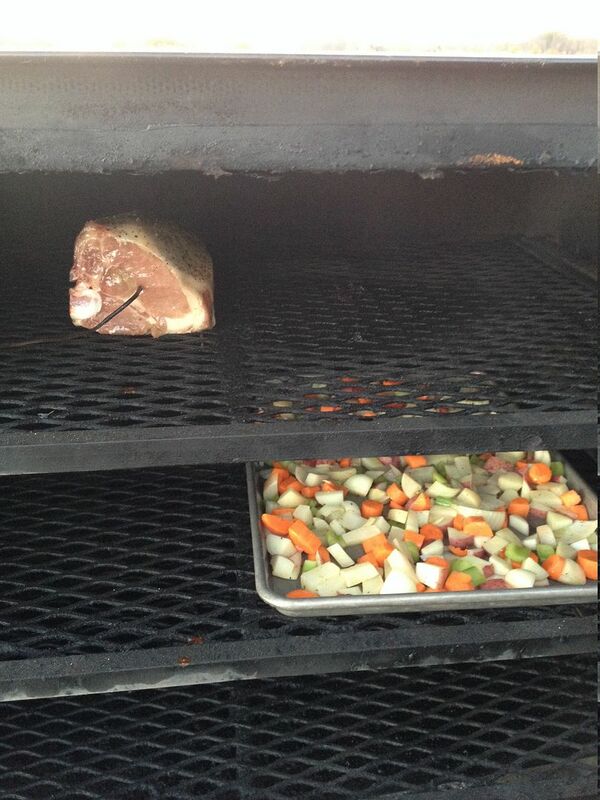 The roast went on the top rack. This roast, about three pounds total, took about two hours at 375 to reach an internal temperature of 150 F. At that point, I brought the roast inside, placed a piece of foil over the meat, and let rest for 10 minutes before slicing. 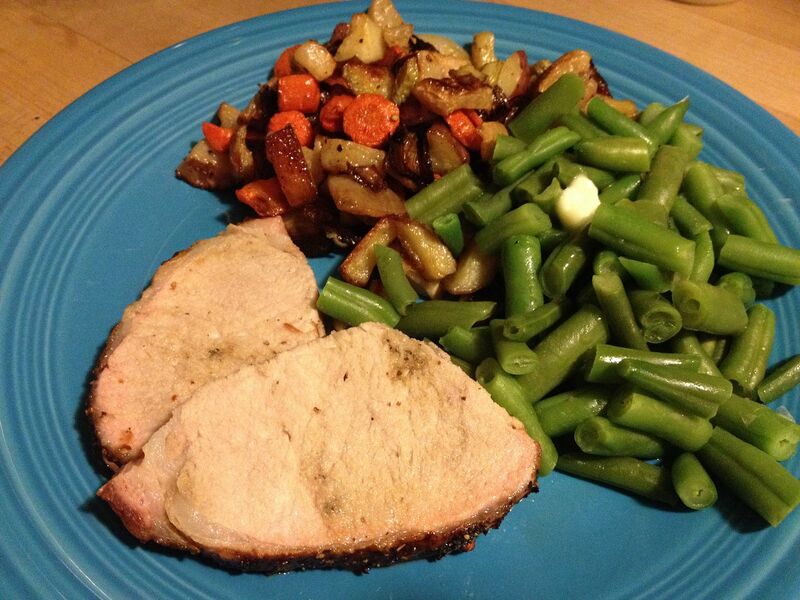 We were more than happy with this roast pork. The mustard was not over powering and added a bit of tartness that cuts the richness of the meat. 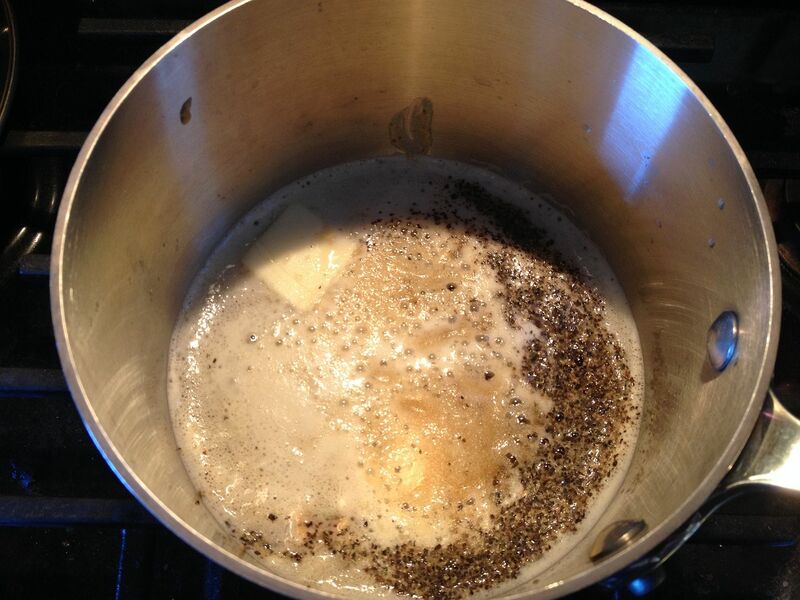 The malt flavors were present and mixed well with the slowly cooked garlic cloves and celery seed. Next time, I may try and work some sauerkraut into this dish as well. Bottom line, if you are looking for some new ways to work some beer into your cooking or you are just looking for something different, give this recipe a try. 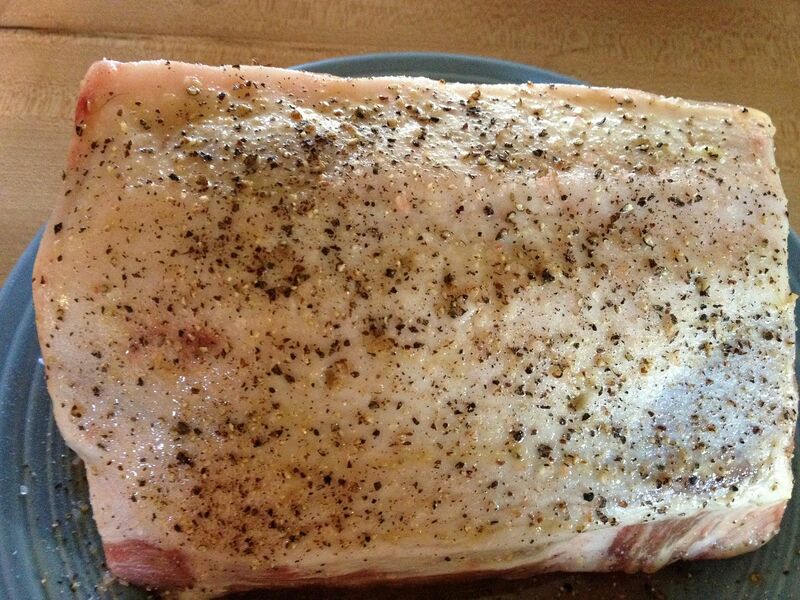 You sure make a fine looking pork roast. I know it tasted fantastic. As you know food props in food images are crucial and the green bean element is a little heavy handed. Ha Ha, if green bean proportion was the only critique of our meals. I agree Chilebrown. The beans were good though. But, the pork rocked.